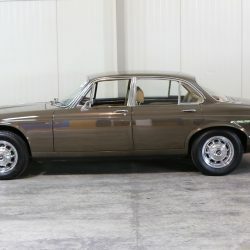 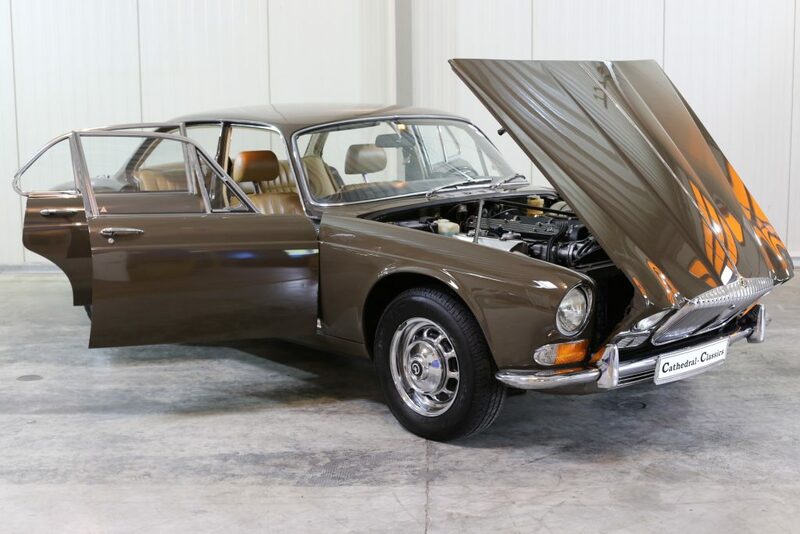 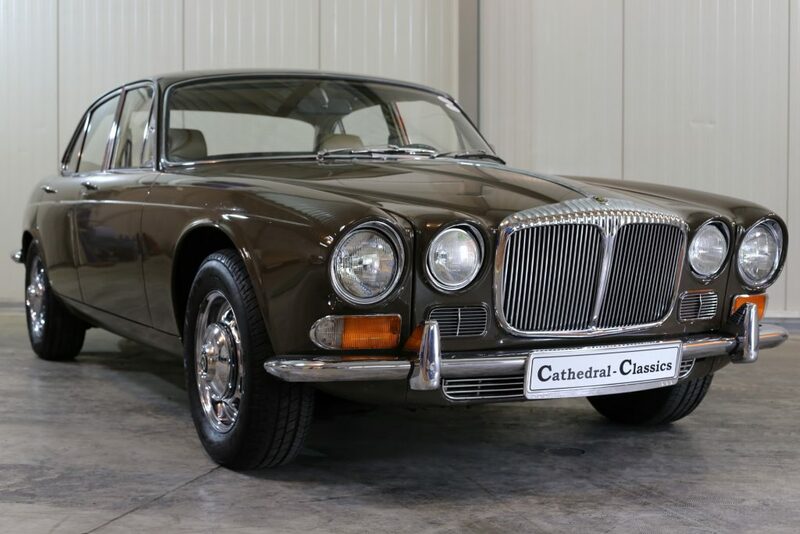 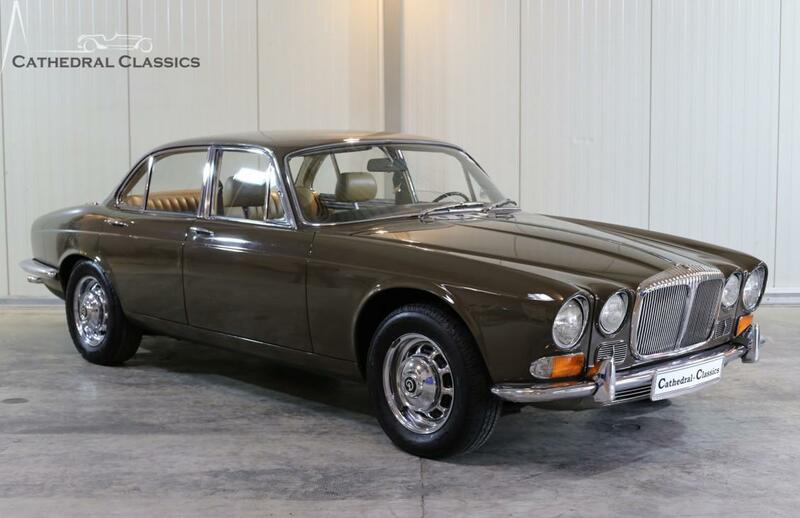 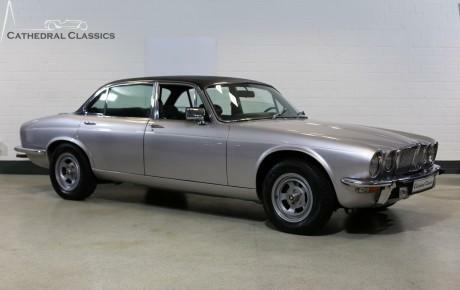 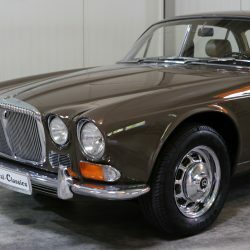 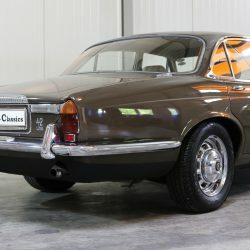 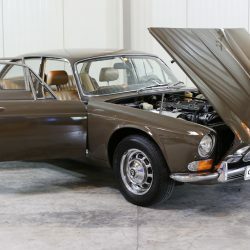 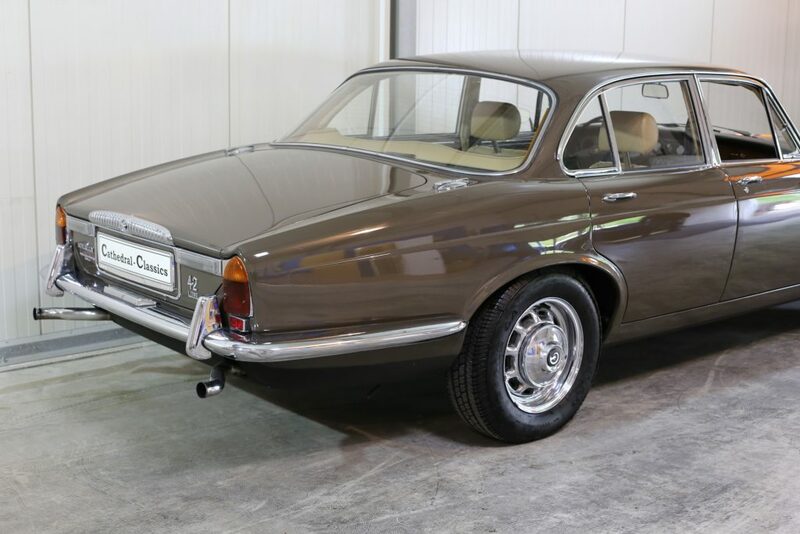 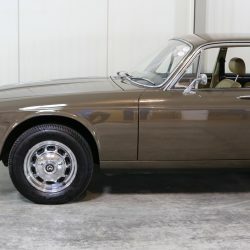 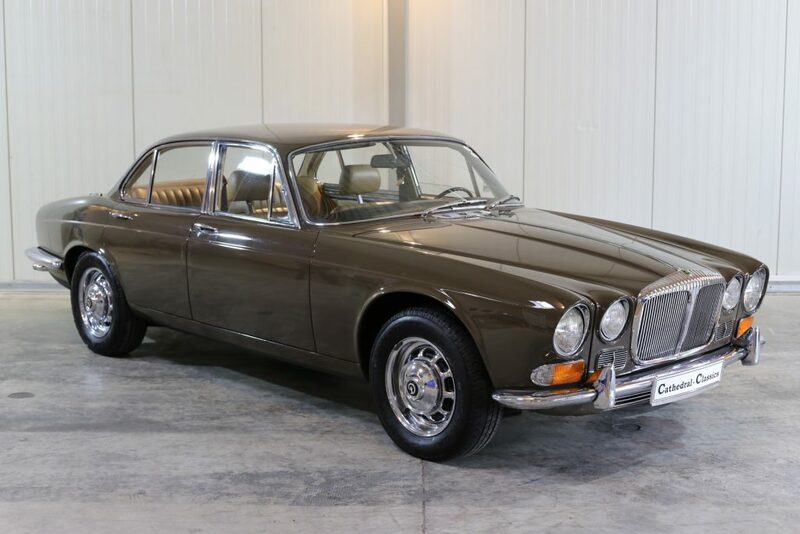 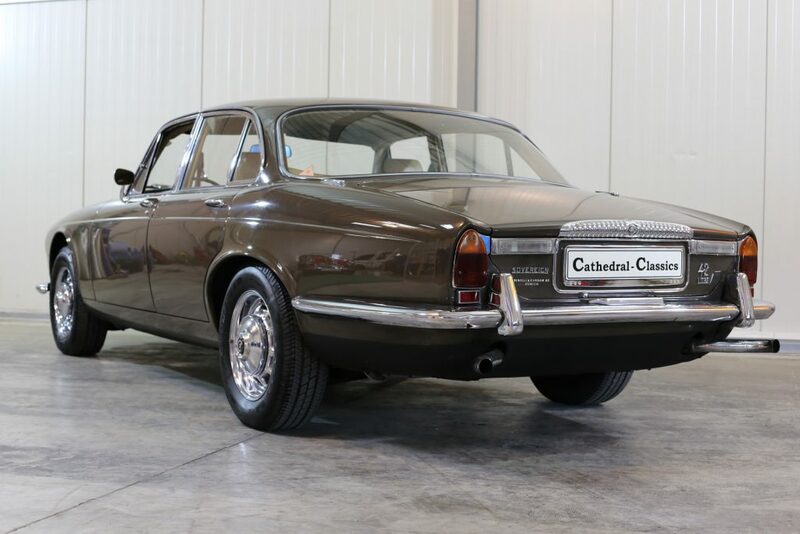 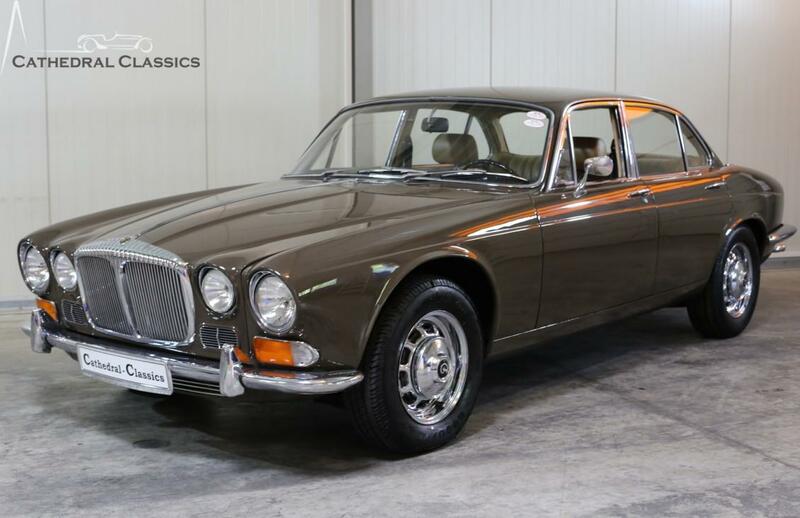 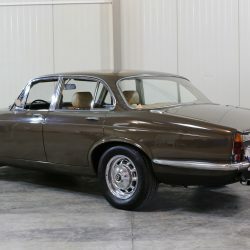 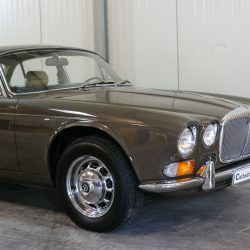 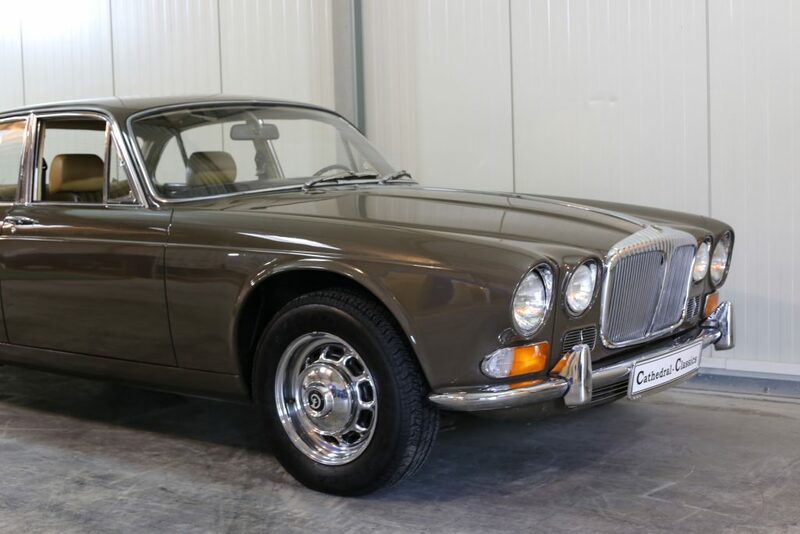 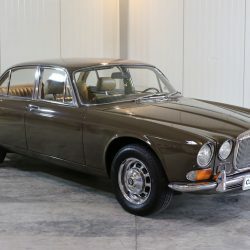 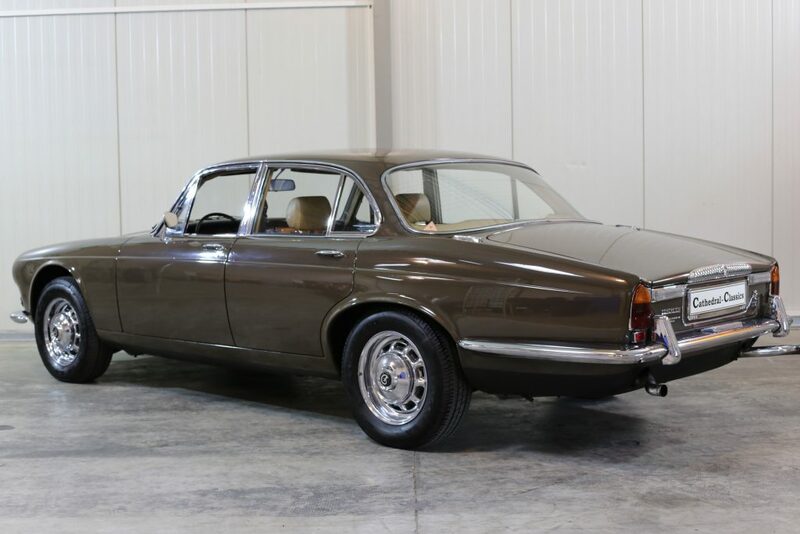 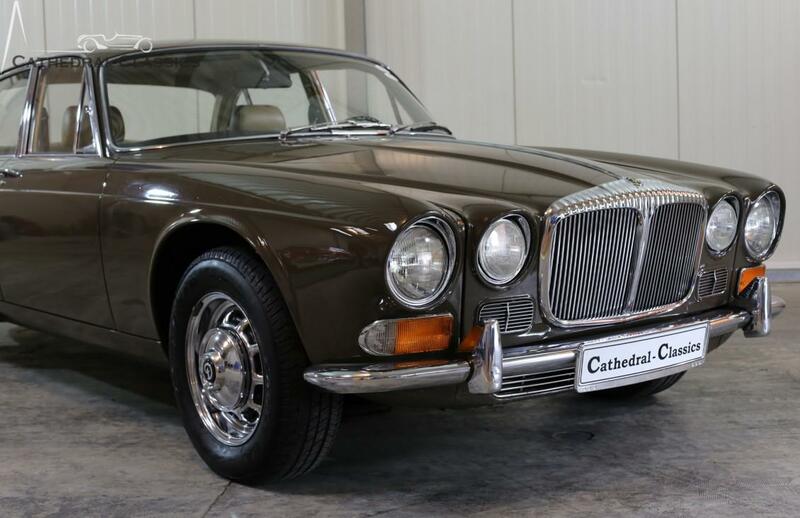 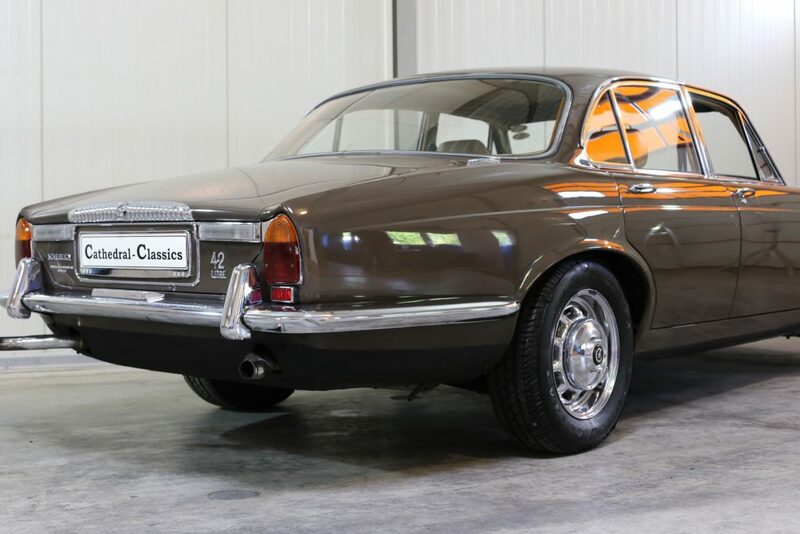 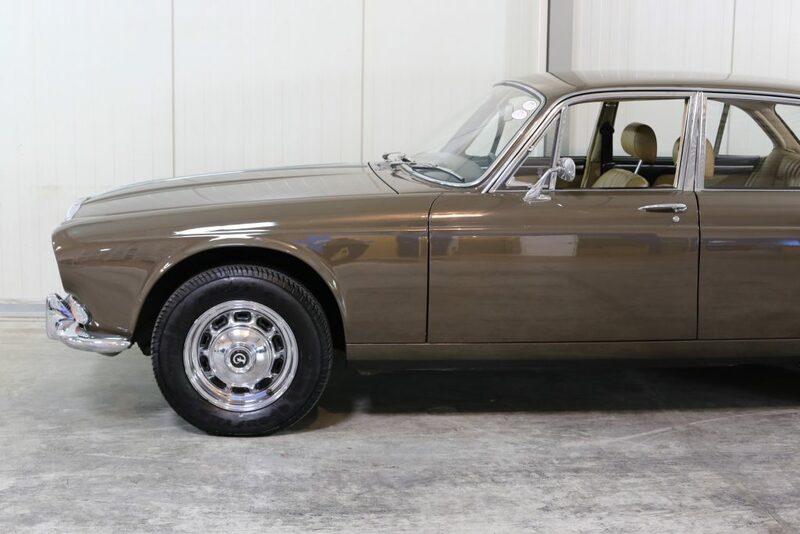 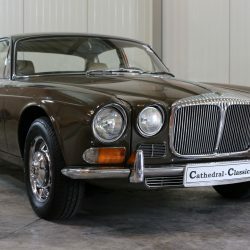 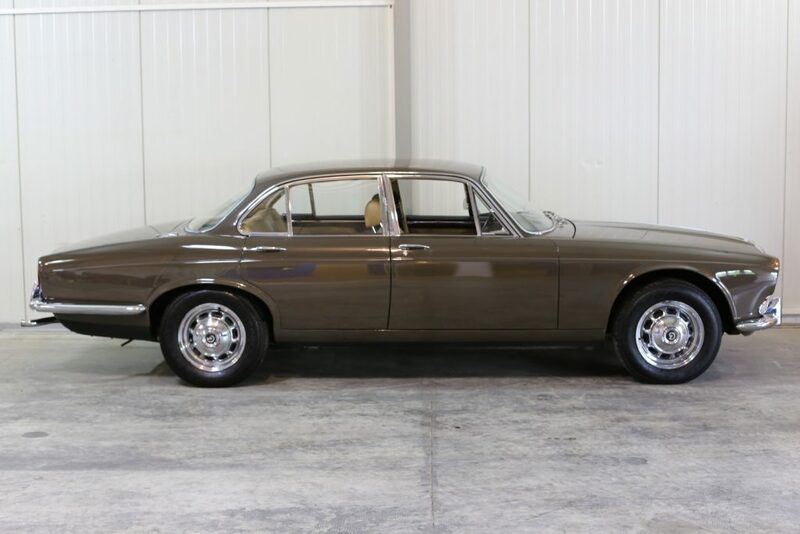 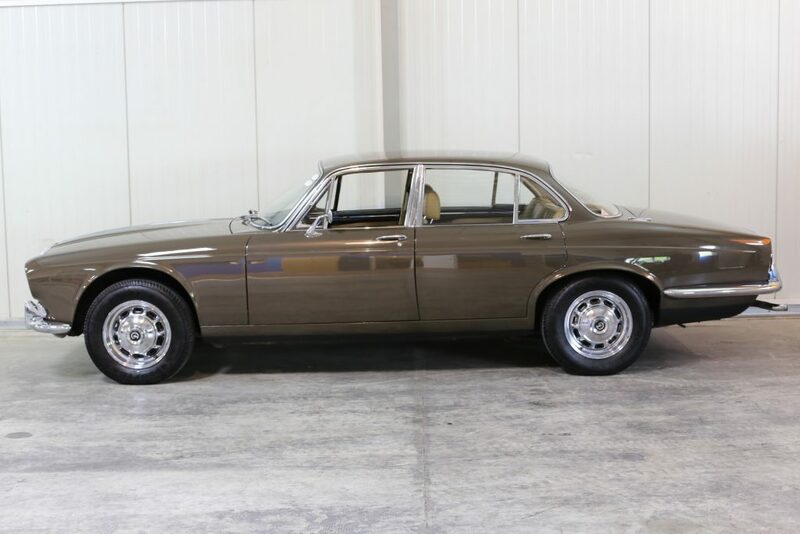 HISTORY FILE - Series 1 Jaguar XJ are rare enough these days, so to find a series 1 Daimler Sovereign in this condition, is an even rarer find. 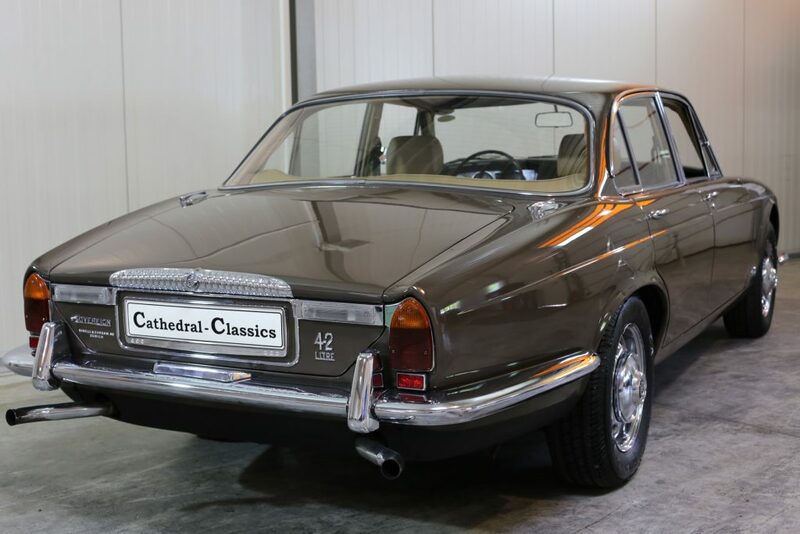 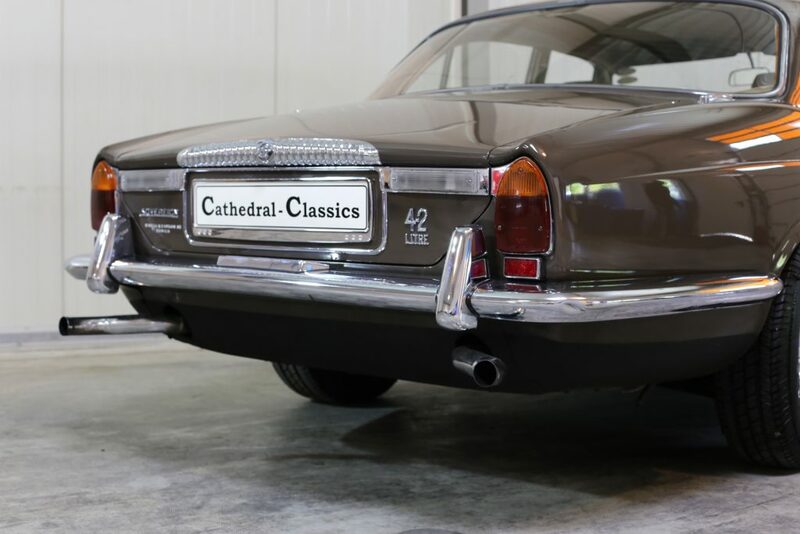 Our LHD Sable Brown example was built in February 1971 before being shipped to the German sector of Switzerland. 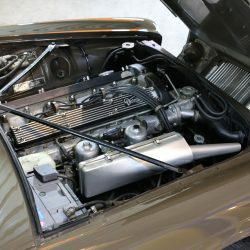 The interesting history file shows several Swiss Franc invoices from the late 1990's before the car is imported to Holland in August 1999. 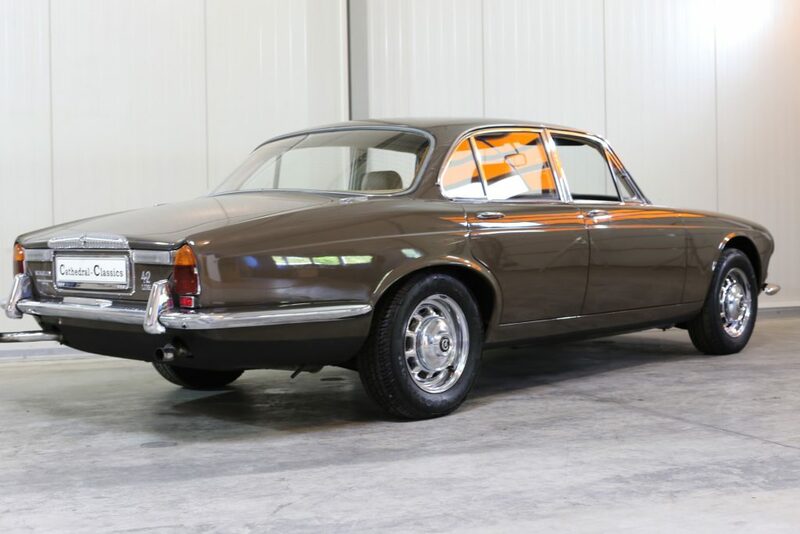 In 2008 the car is documented with a comprehensive Dutch valuation Inspection Report showing a mere 59,000 km’s. 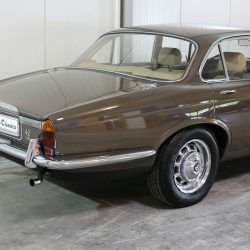 Our original condition example is finally imported to Germany in late 2009 where it is purchased by an astute private collector of some repute. 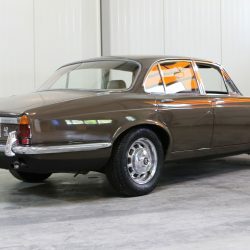 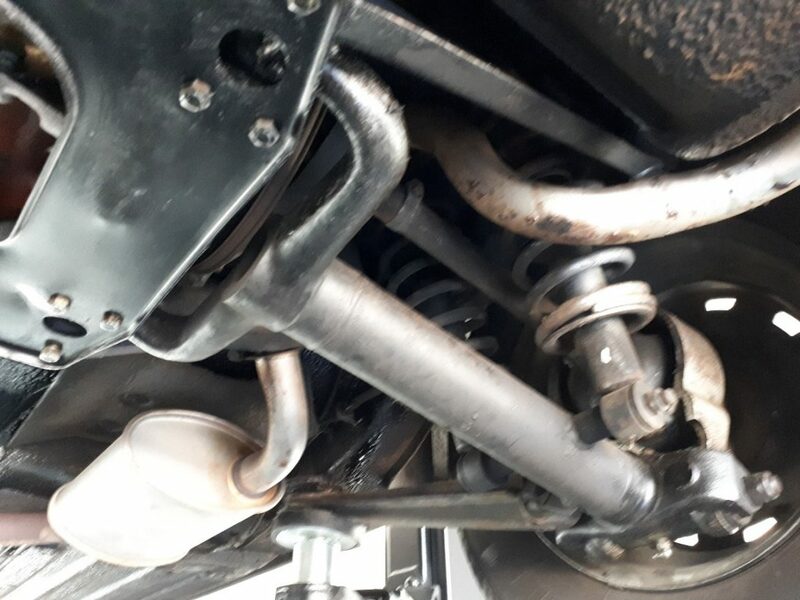 His exacting standards have given us no reason to doubt that the now actual 64,500 km’s are correct and commensurate with the remarkable condition of the car. 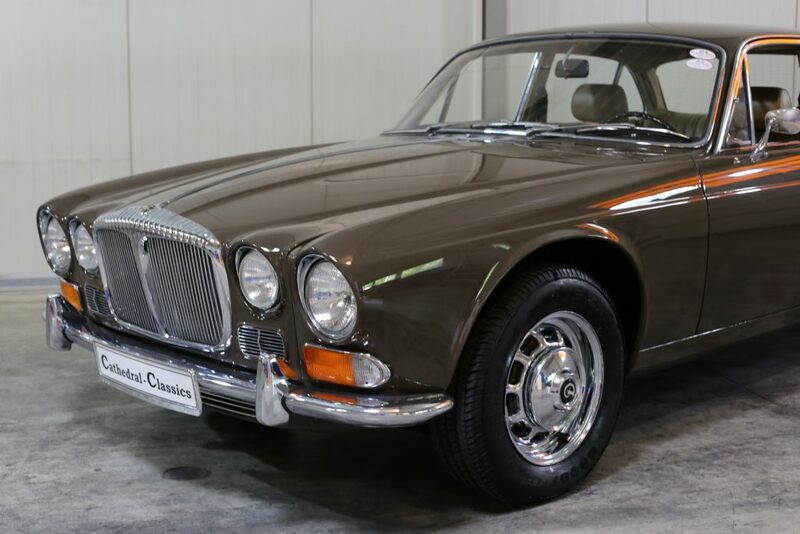 A true find and one for the Daimler (1U-50251 BW) aficionados. 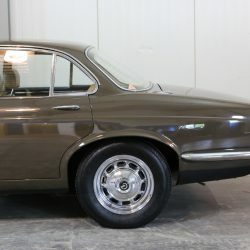 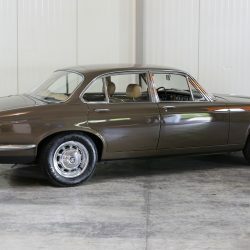 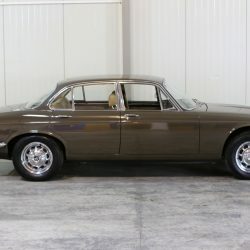 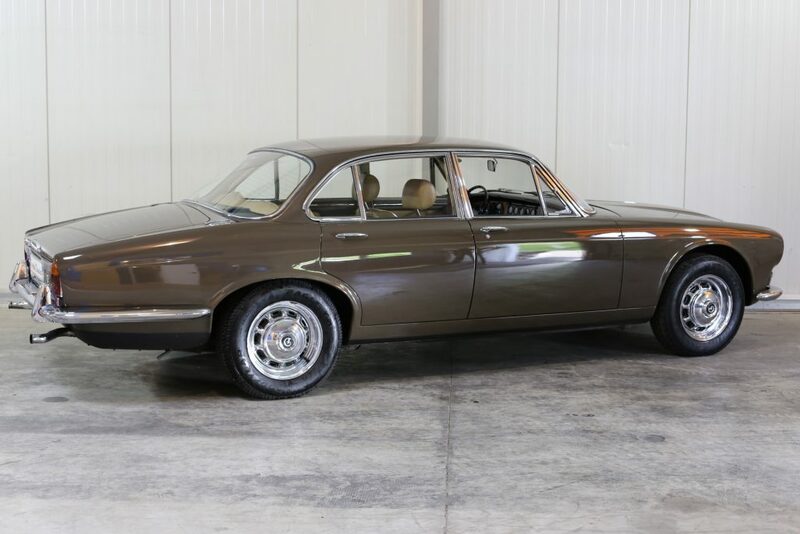 EXTERIOR - Finished in Sable Brown, the mostly original paint is astonishing. 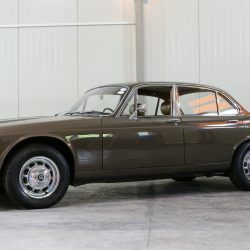 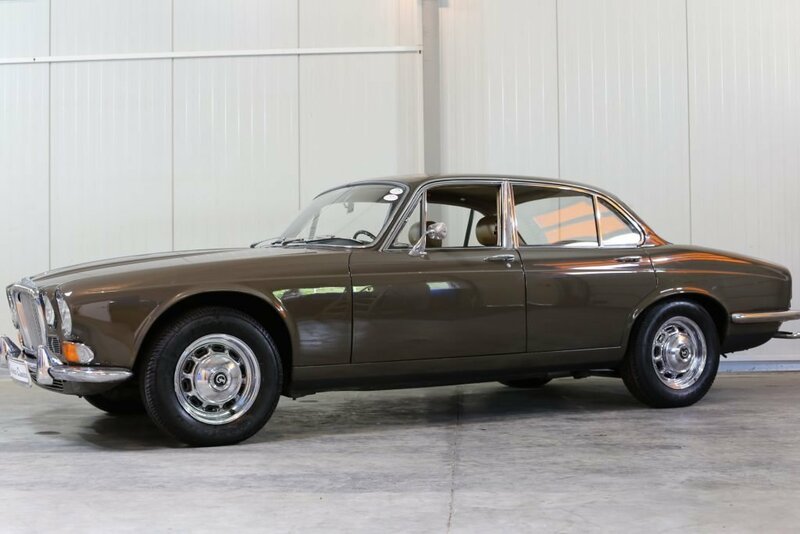 Hailing from Switzerland, it's quite possibly why the car is free of rust and displays a beautiful patina. 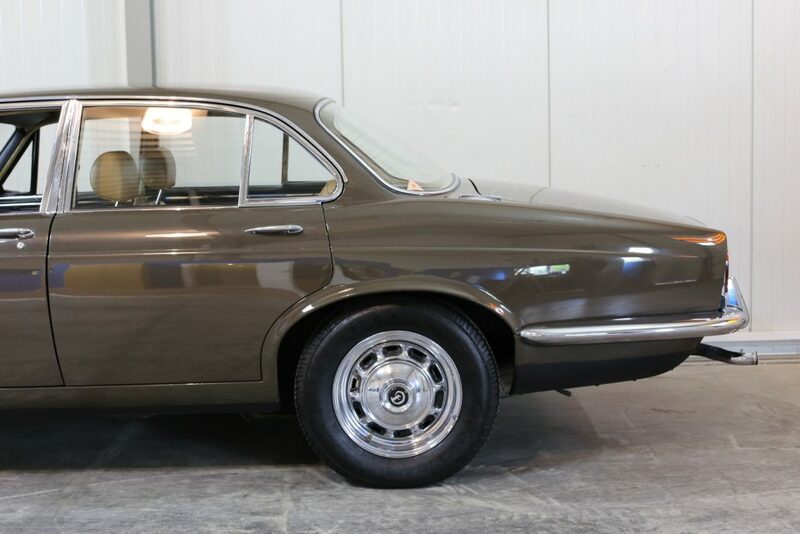 A small blemish on the boot is hard to spot but does not detract from the overall impression. 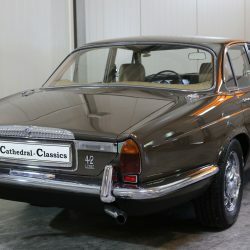 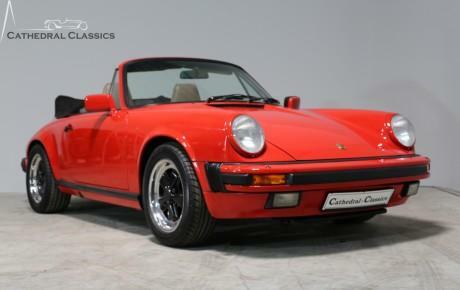 Not perfect by any stretch of the imagination but, the car is in remarkable overall original condition and we welcome any inspection. 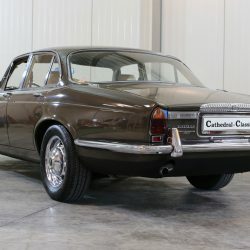 Gleaming chrome elements throughout combined with all original ‘SICURSIV’ glass all point to a wonderful original example. 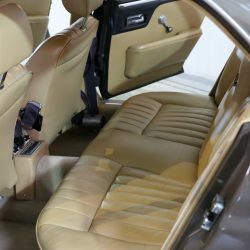 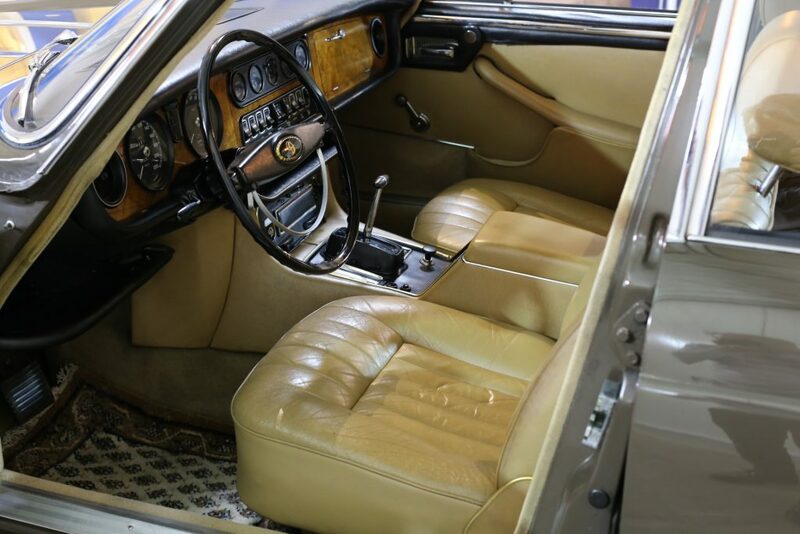 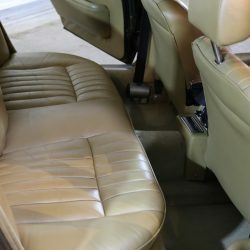 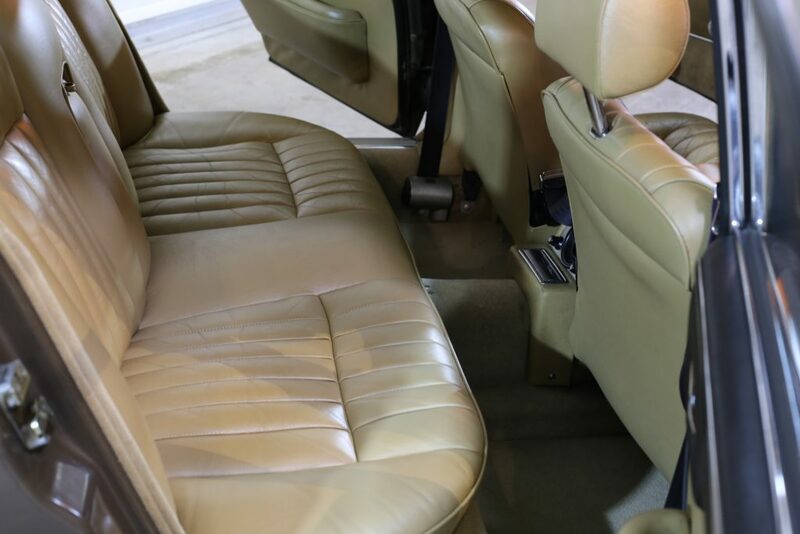 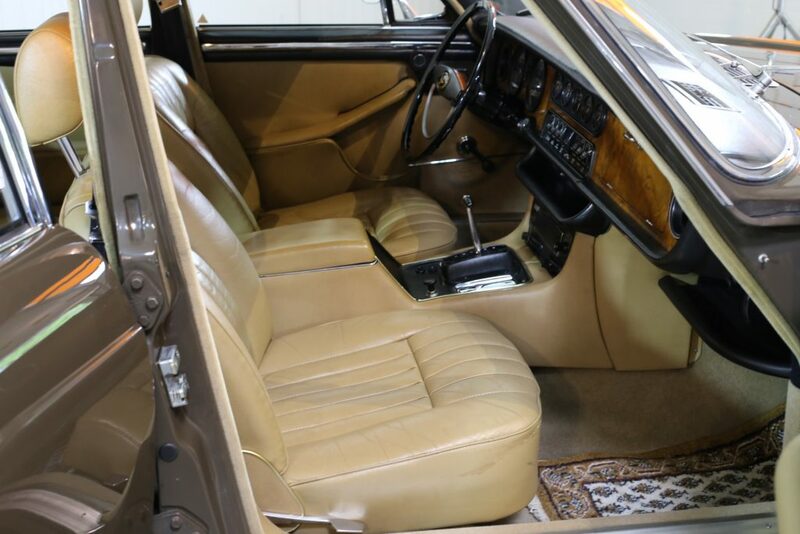 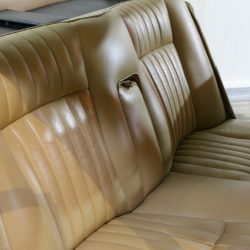 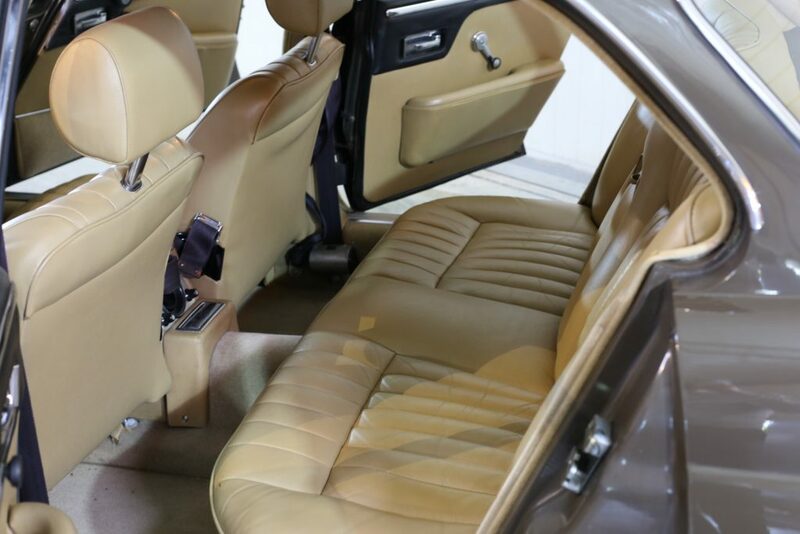 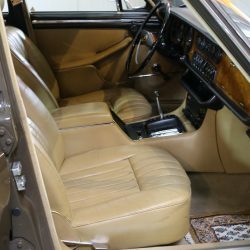 INTERIOR - The Beige leather interior, synonymous with early series 1 cars, is perfectly in keeping with cars original condition. 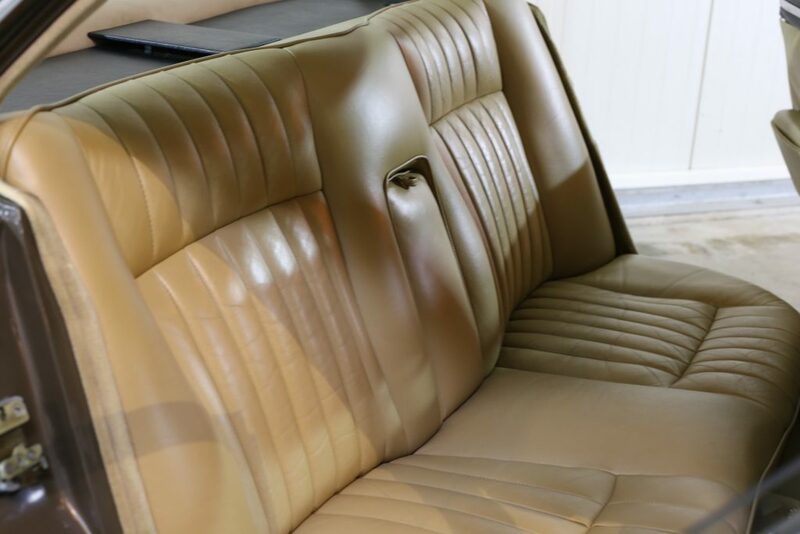 The rear seats in particular are almost like new, with the fronts displaying a typical patina that is sheer joy. 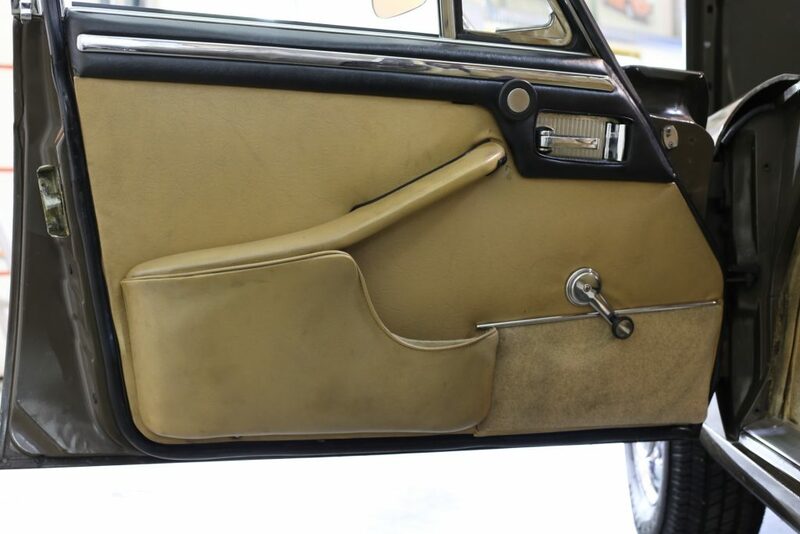 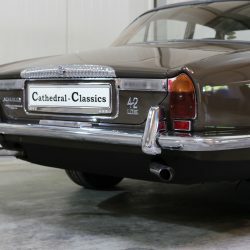 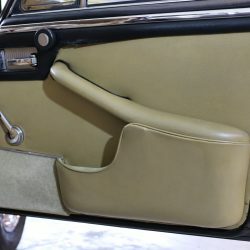 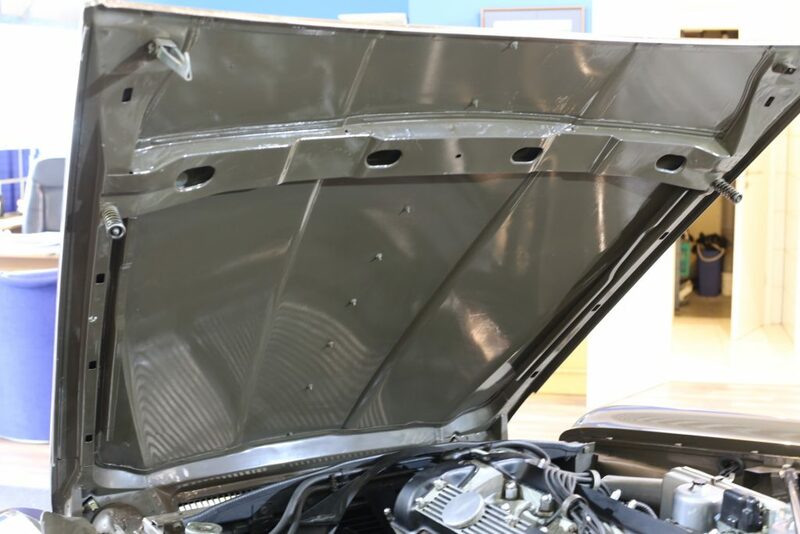 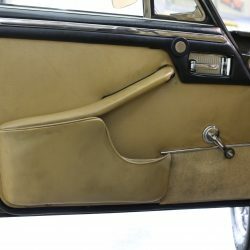 Daimler inner door sills confirm the cars heritage with the original wood also in superb condition. 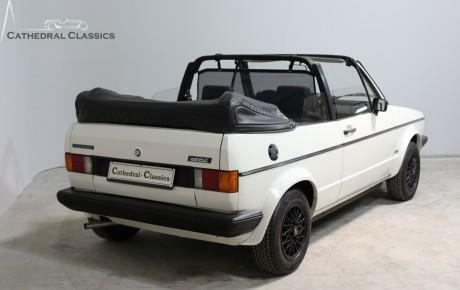 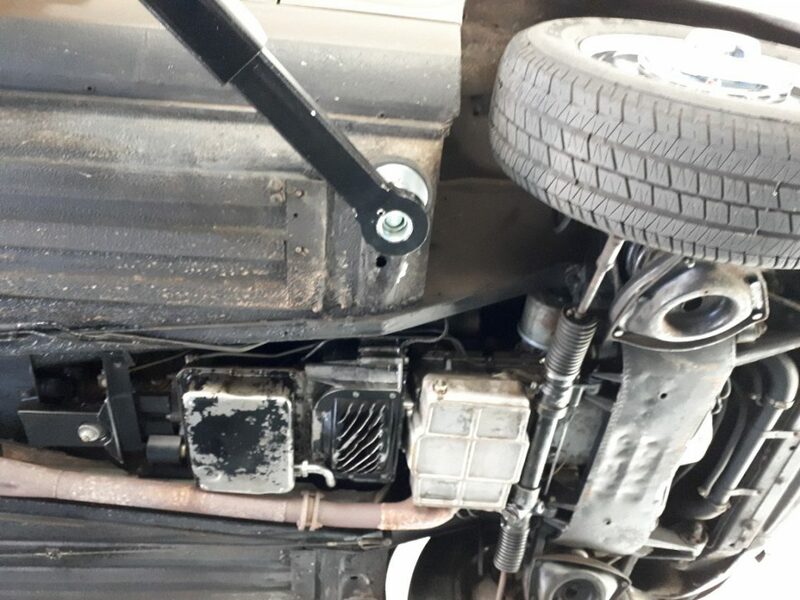 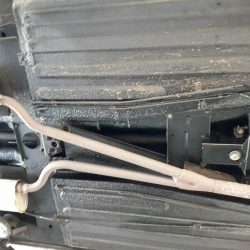 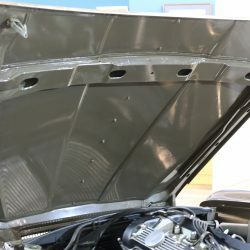 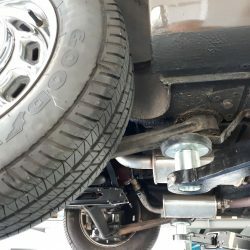 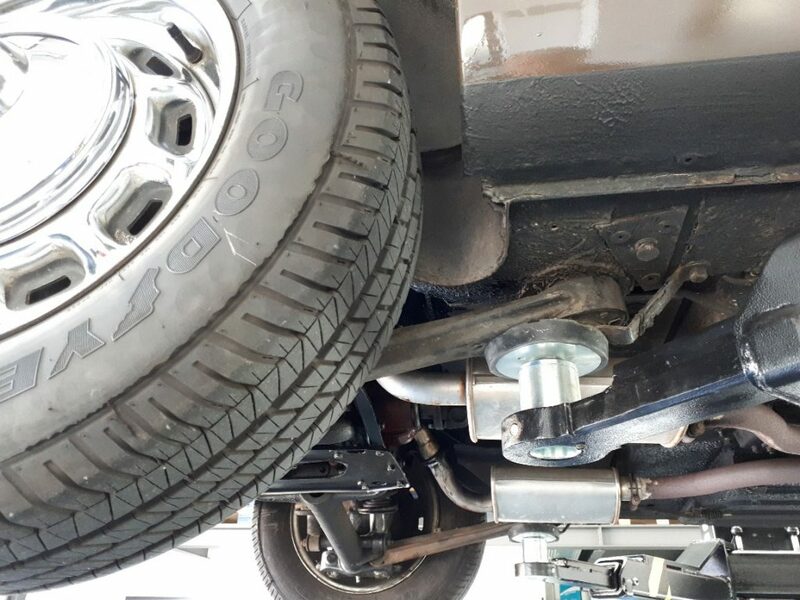 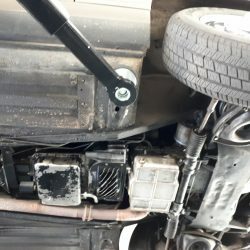 The problematic roof lining does NOT sag. 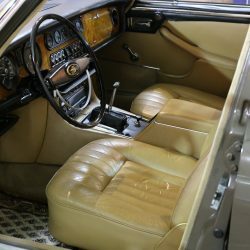 Interestingly, the car has never been fitted with a radio and displays a leather-bound blank. 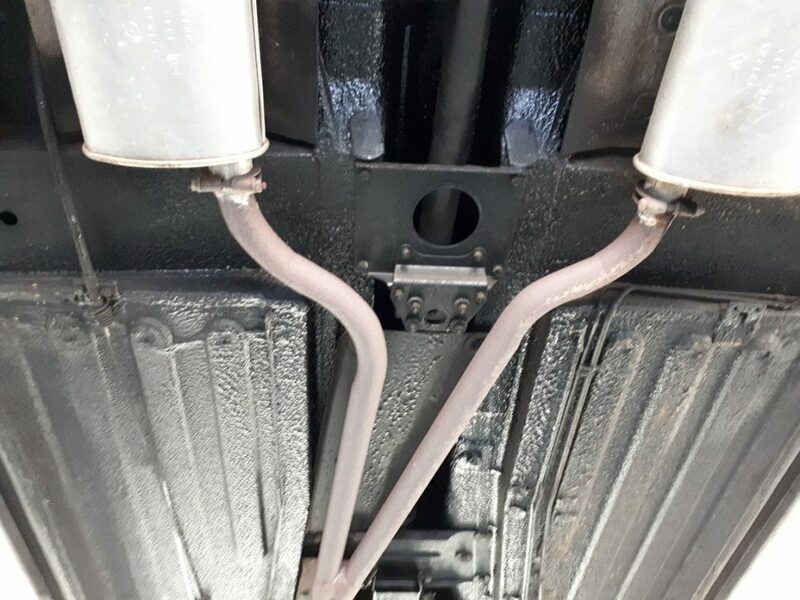 Switch gear are in clean condition and all add to confirm that the low kilometer reading is correct. 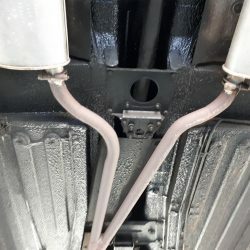 Both fuel tanks switch over nicely. 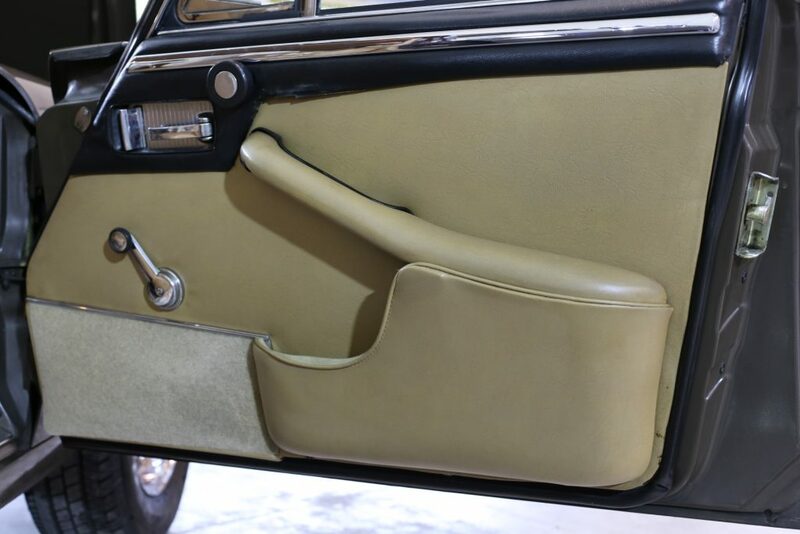 Daimler seat belt emblems to match the Daimler Bakelite steering wheel remind us of a time gone by! 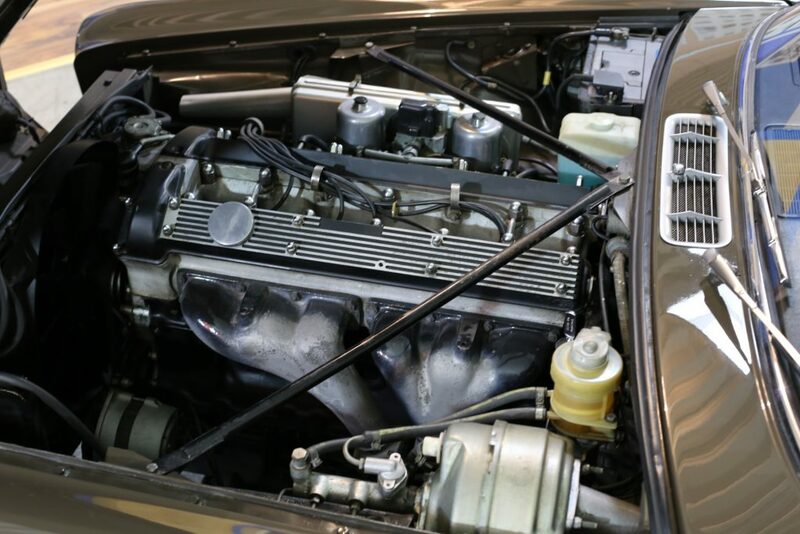 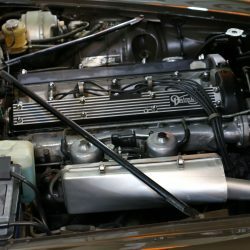 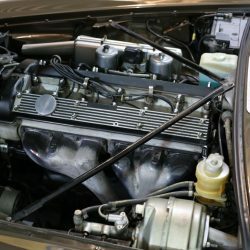 ENGINE & TRANSMISSION - Under the bonnet, our matching numbers Sovereign (number 7L 28155-H) is housed in a clean and tidy engine bay. 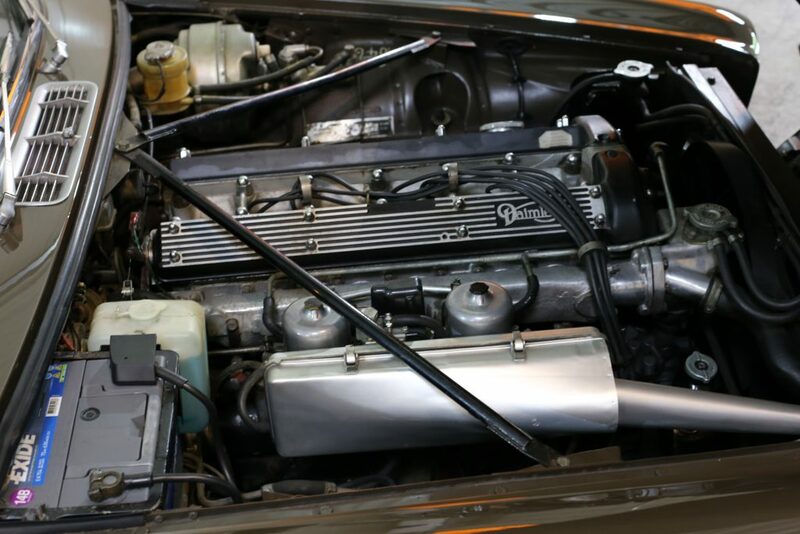 The renowned 4235cc robust unit pulls beautifully and is responsive both in terms of gear change and performance in the manner it should be. 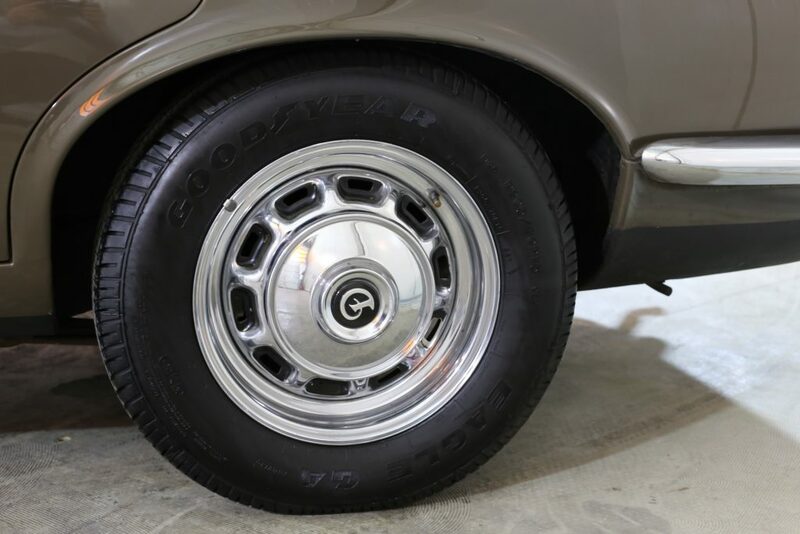 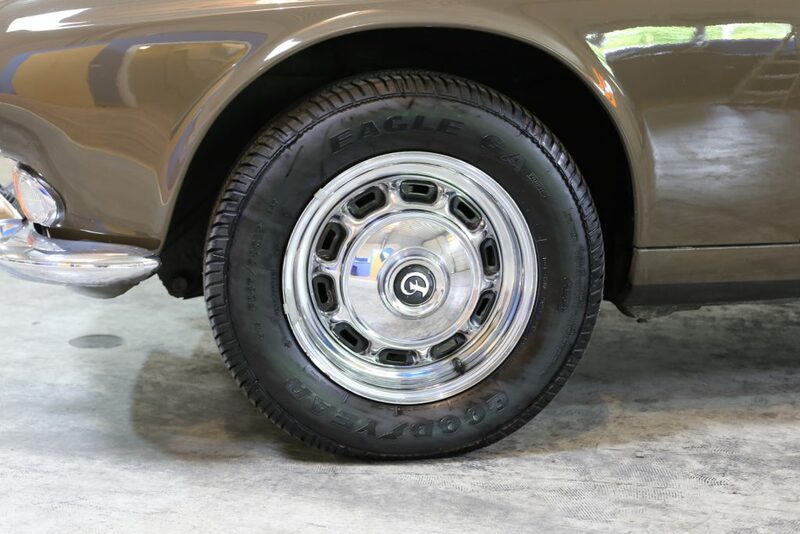 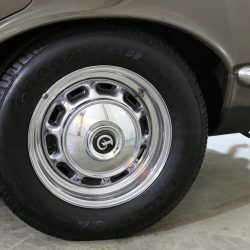 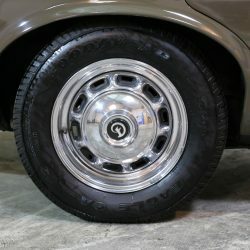 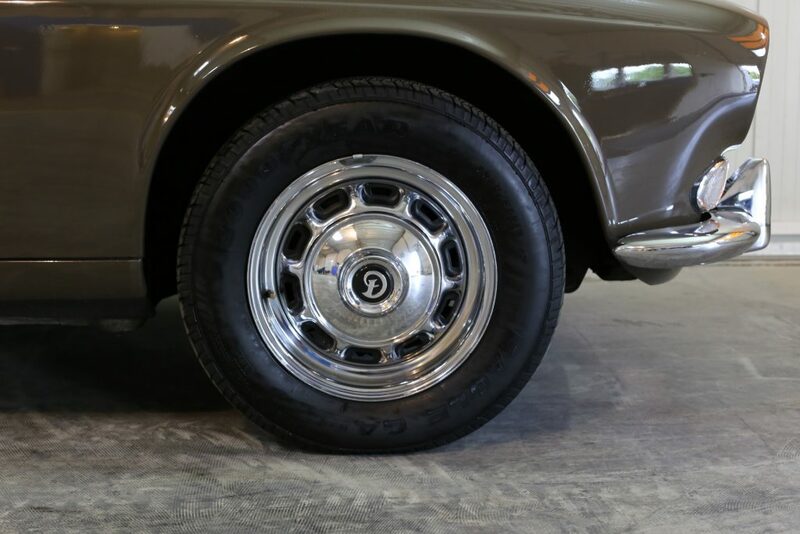 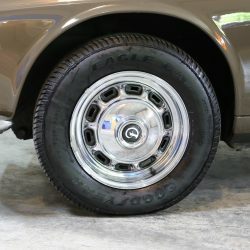 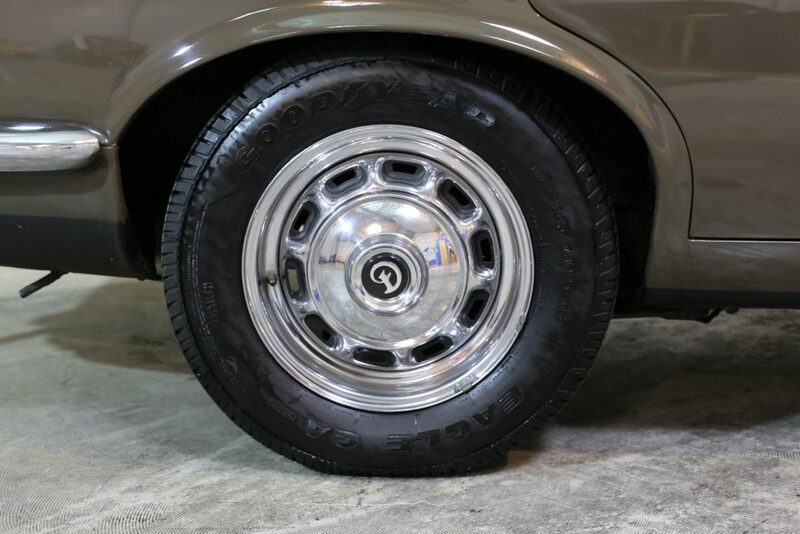 WHEELS, TYRES & BRAKES – Stunning original chrome pressed wheels are covered in Good-Year Eagle P205/70 R15 tyres with plenty of tread. 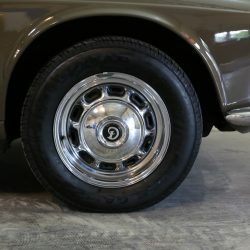 The spare tyre is new. 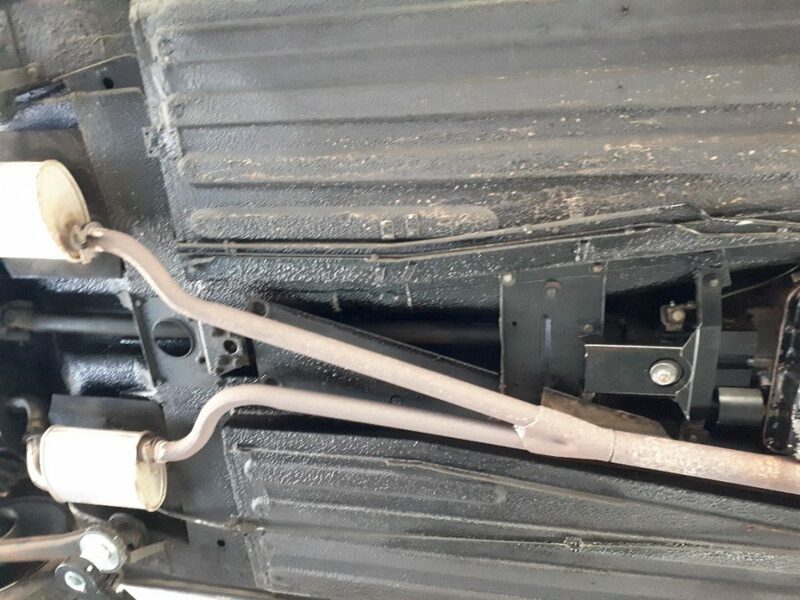 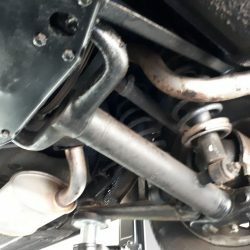 On testing the brakes pulled up well and straight.